be sure and visit us next Spring to learn how you can purchase a MumFest Banner through The Rotary Club of New Bern! 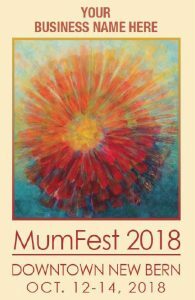 We look forward to you becoming a supporter of MumFest ’19 and proudly displaying your personalized colorful banner. Although banner applications are now closed, if you have any questions, please contact us.